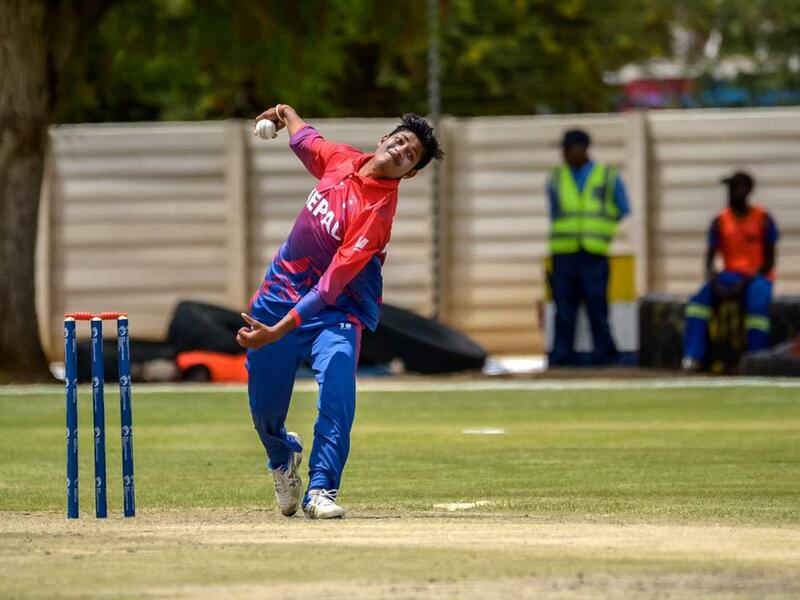 Nepali wrist spinner Sandeep Lamichhane has been added to the ICC World XI squad for the T20I against the West Indies to be played on 31 May. Lamichhane,will join a star-studded line-up, which also comprises Eoin Morgan (captain), Shahid Afridi, Tamim Iqbal, Dinesh Karthik, Rashid Khan, Mitchell McClenaghan, Shoaib Malik, Hardik Pandya, Thisara Perera and Luke Ronchi against the ICC World Twenty20 champion side, which includes the likes of Samuel Badree, Carlos Brathwaite, Chris Gayle, Evin Lewis, Marlon Samuels and Andre Russell among others. Lamichhane was picked in the ICC XI after impressing in the World Cup Qualifiers, according to the world cricket governing body. He was in the team which played the historic match at Lord’s in July 2016, where he had figures of one for 25 as Nepal successfully defended 217 for eight, bowling out the hosts for 176 in 47.2 overs.